Single-Component, Rapid Curing, Fluid-Applied Elastomeric Waterproofing Membrane. 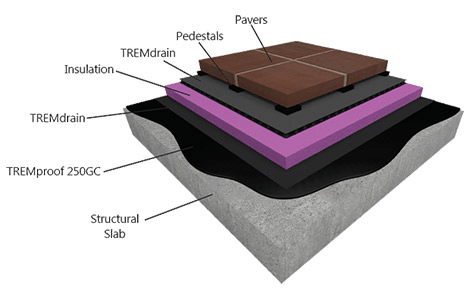 TREMproof® 250GC is a rapid-curing, high-solids, VOC compliant modified polyurethane waterproofing membrane. It can be applied to damp and green concrete. TREMproof 250GC is a one-part moisture-curing elastomer available in three viscosities: Self-Leveling (SL), Roller (R) and Trowel (trowel intended for detailing work only). TREMproof 250GC is designed for use on backfilled walls, split slab applications, planters and submerged conditions. 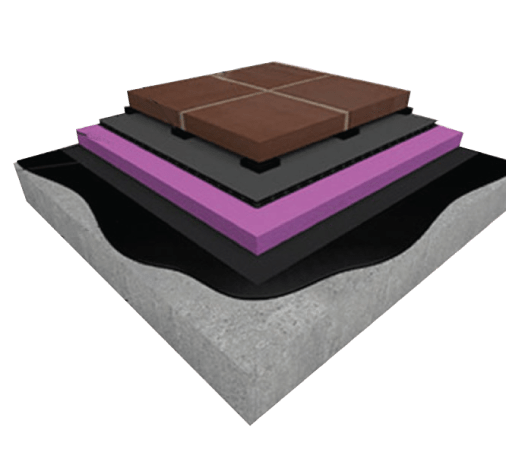 TREMproof 250GC is a complementary waterproofing membrane that can be used with Tremco's Vegetated Roofing systems.Concrete masonry units and plywood are both acceptable substrates. •TREMproof 250GC can be applied in as little as 24 hours following the removal of concrete forms. It can also be applied to damp concrete,reducing the delays associated with rain or other sources of moisture. •The unique ability to catalyze TREMproof 250GC-SL with water when desired will speed cure times, especially in cold temperatures and low relative humidity, to further condense the construction schedule. •TREMproof 250GC can be applied at a rate of up to 120 mils in a single lift to speed application without sacrificing performance. •It can also be applied in multiple lifts to achieve a 215-mil high-build system when maximum protection is required. •Do not apply to contaminated surfaces. •Not to be used as an exposed or wearing surface. •Concrete forms must be removed a minimum of 24 hours before TREMproof 250GC can be applied. •Not approved for direct contact with asphalt-based products. •Not for use with potable water. •Contact your local Tremco Sales Representative or Tremco Technical Service for compatibility information and job-specific recommendations on tie-in and termination details. 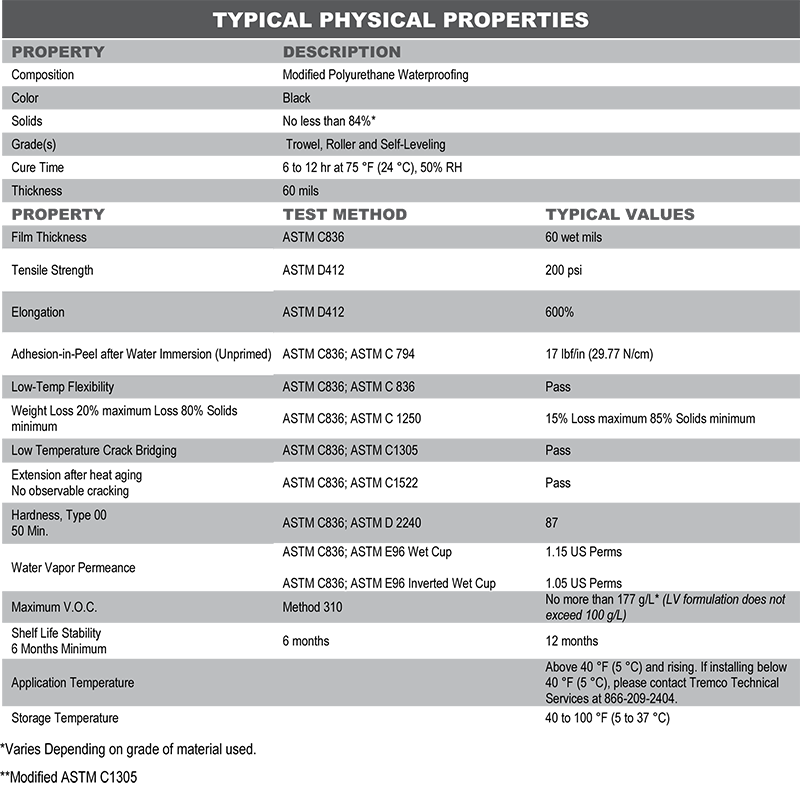 •Do not apply over a non-vented metal pan decking substrate without contacting your local Tremco Sales Representative.